A definite “people person” is Cory M. Tyson, President at THG Network and the person in charge of Development, Production and Distribution. From his childhood days as a scholar at the Gingerland Primary School to his practical and theoretical days as Producer at Nevis Television and owner of KORE Entertainment, Cory has demonstrated that he is versatile and well-rounded. Cory pursued tertiary level education at the Institute of Audio Research and the University of New Haven in the United States of America. 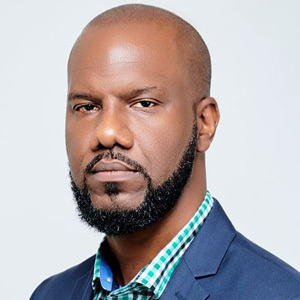 He has contributed significantly to community life in Nevis and with the assistance of the audio/visual production company KORE Entertainment, Cory has assisted in the musical development of many of the island’s youths. He has also been credited for raising the production standards of the government-owned television station, Nevis Television. He can be contacted at cory.tyson@thg-network.com.